Mal Nicholson thought I’d enjoy some photos of a sailing model of his restored Humber sloop named Spider T, and so he sent me these shots. He’s clearly a great judge of character! 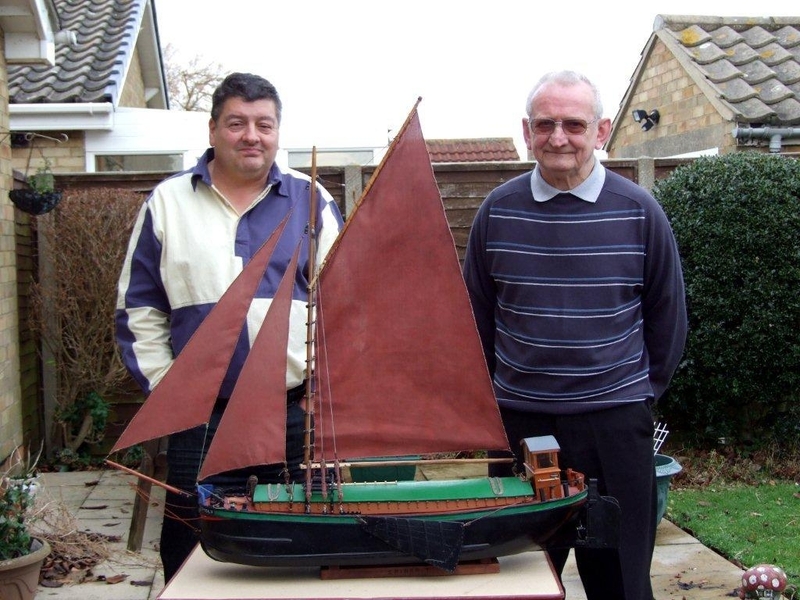 The final photo is of the model with Mal and retired ship’s engineer Henry Hartley. Sailing ship Spider T is available for charter for day trips and longer voyages. See an earlier post here and see her website here. 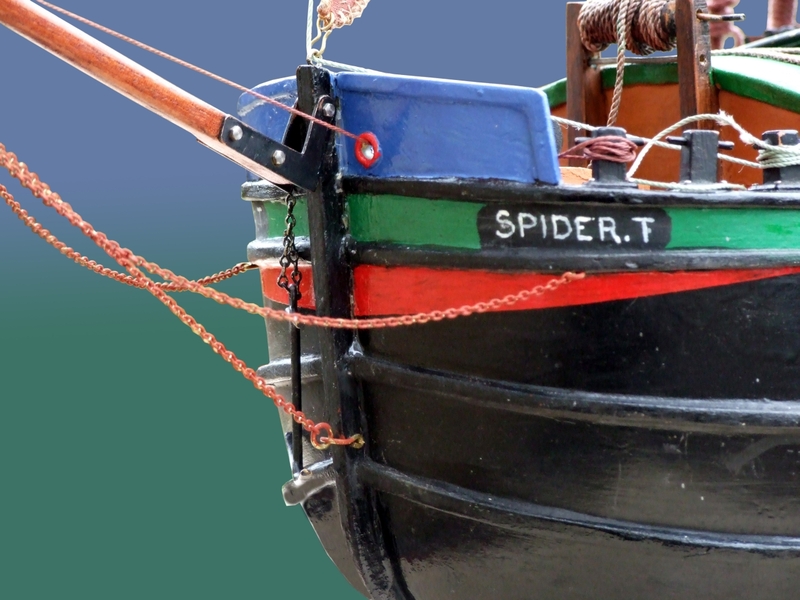 Hello Gavin for those that are interested the model is radio controlled with an auxilliary engine unlike the real Spider T launched as sail power only but now with Gardner 6LXB as standby. The model sails incredibly well very stable and quite fast. These vessels have a purity of line that goes back to the Viking Longships so there is a thousand years of development so they ought to get it right! 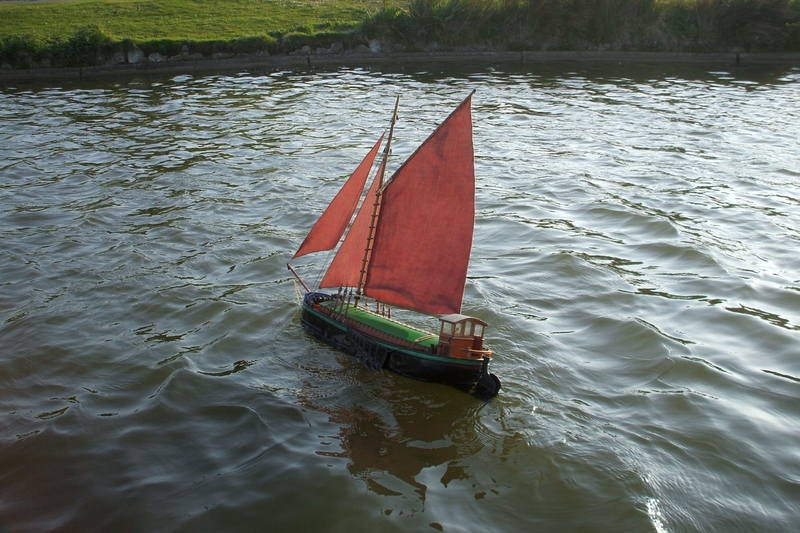 This model was completed by a retired marine engineer called Henry Hartley who basically started with just about a bare hull built for me by a retired schoolmaster from Hull. All the gear works it is self tacking and even the sail winches are operational with minute ratchets and pawls! I am very pleased with the results but as yet an absolute novice at sailing models. Hi Gavin, that is quite some sailing model! 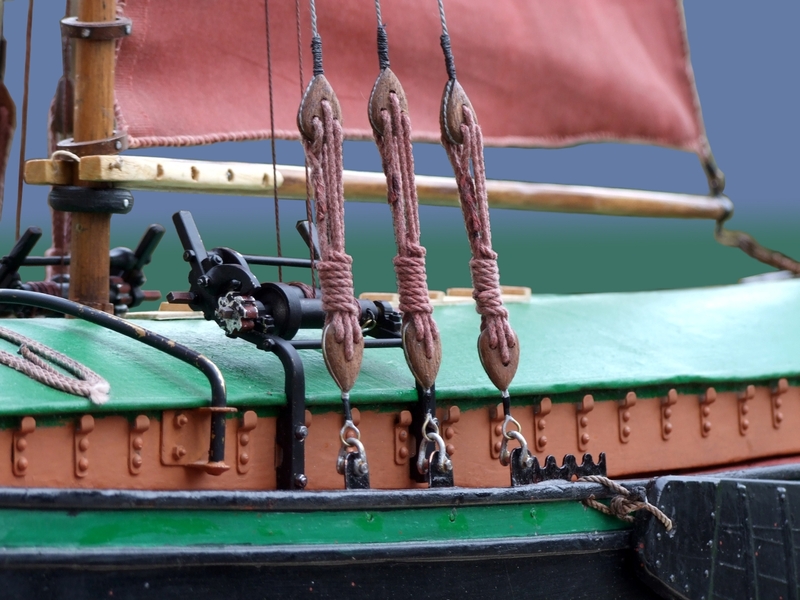 Authentic rigging is difficult when water and wind are not to scale and a model schooner of mine reached 6ft length and 5ft keel to masthead in the effort to remain 'authentic'. That was a long time ago. I have built kayaks at 6ft!. I have my childhood pond yacht, ma geffer at that and have collected some since but they take up so much display space, not many. The only one that gets a workout these days is a 1 meter long Couta boat with full RC. Hello James I will ask the chap that made my sails for the info and get back to you, thanks for your interest. If you want any shots of the model or Spider T for detail please let me know and I will gladly send them. 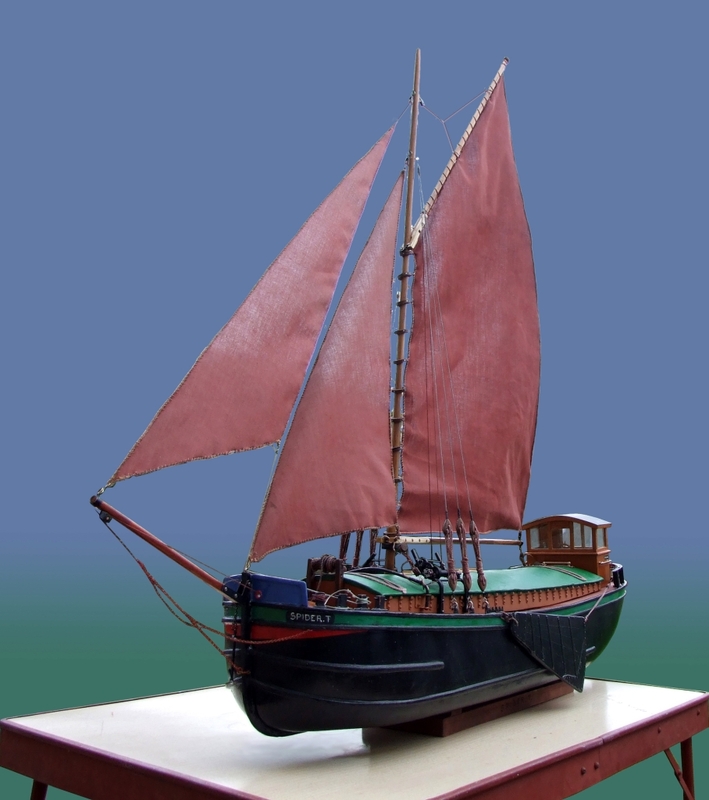 Mal, I would like to make contact by email with you after seeing your model of the Humber sloop – I write a monthly column on model sailboats on Duckworks online and would like to include an item on it. If you go to http://www.duckworksmagazine.com you will find the latest issue. Kind wishes and good saailing aboard SPIDER T.
Mal, perhaps it is Hartley I need to talk to not Gavin.